Welcome to my site. 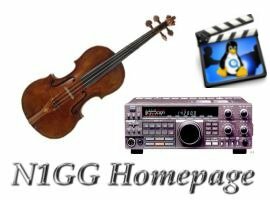 I have created these pages for the most part to provide information concerning video production and also the Linux operating system. I hope that the info you find here is beneficial and will be a blessing to you. If you like, you may email me at website -at- n1gg -dot- com with the -at- and -dot- substituted for the correct symbols of course.